If you're in between sizes and have a full cup (D+) and/or a full waist, we recommend ordering up. The fabric barely stretches but the waist band doesn't stretch at all. 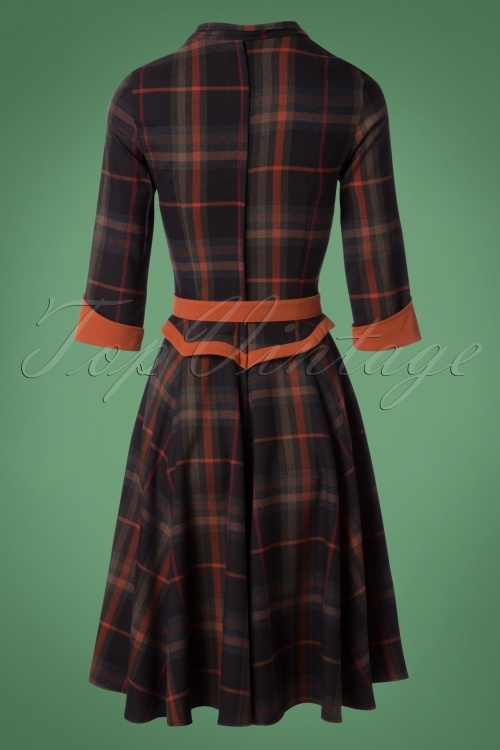 Femme Fatale it is with this 50s Brianna Tartan Swing Dress in Navy and Rust! The new Femme Fatale collection is dedicated to all the deadly women and is inspired by noir actresses, secret agents and real life World War heroines! 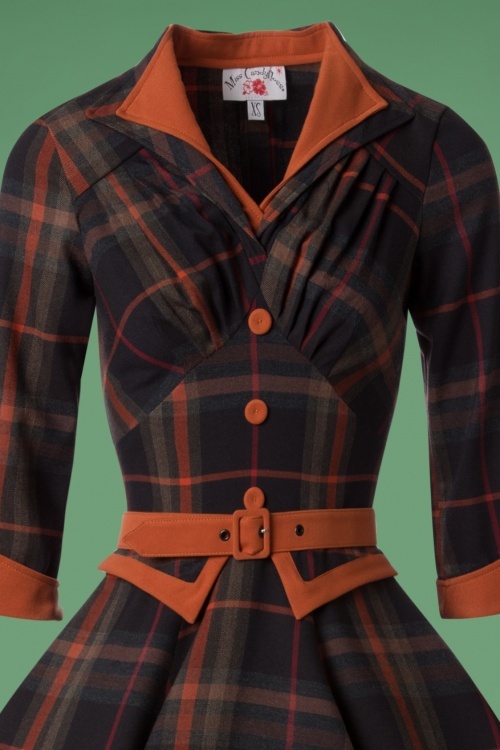 Brianna features a V-neckline, a playful double collar, pointy details at the waist and flattering 3/4 sleeves. The pleats at the bust make her suited for all cup sizes ;-) The combination of the fitted top and full swing skirt will give you a super feminine silhouette. 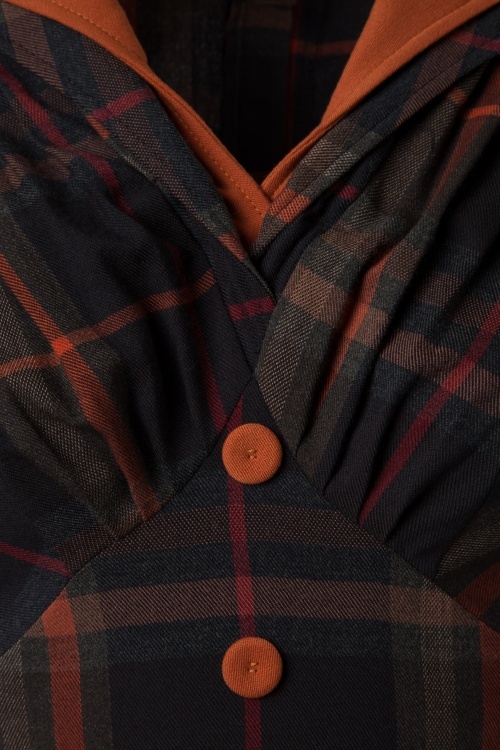 Made from a supple fabric with a very light stretch and a tartan pattern in dark blue, grey, wine red and rust brown. 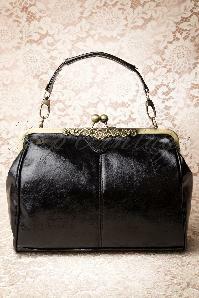 Can you resist the temptation of this breathtaking collection? Perfect model, helaas had ik toch mijn voorkeur voor de "wijn" kleurige. Deze kleur was toch niet helemaal naar mijn smaak. Ik heb 'm teruggestuurd en gewacht tot de andere Brianna weer beschikbaar was. Und es passt wieder einmal ganz toll!!! Meine Kleider-Leidenschaft kostet mich schon einiges..... ob es wohl mehr Gleichgesinnte dahingehend gibt? 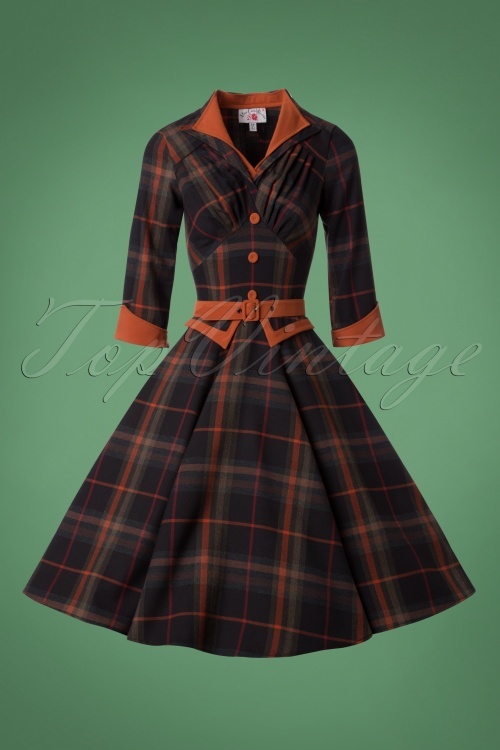 Aber, was soll ich sagen, wieder einmal ein tolles Kleid, dass sehr alltagstauglich ist und im Winter gut getragen werden kann. Auch die Farben sind sehr schmeichelhaft, Ausschnitt nicht zu tief, Länge (bin 1.68m) ideal. Love this dress good quality material, that does'nt seem to crease easly. Terrific stand out colour tartan, sophisticated styling. 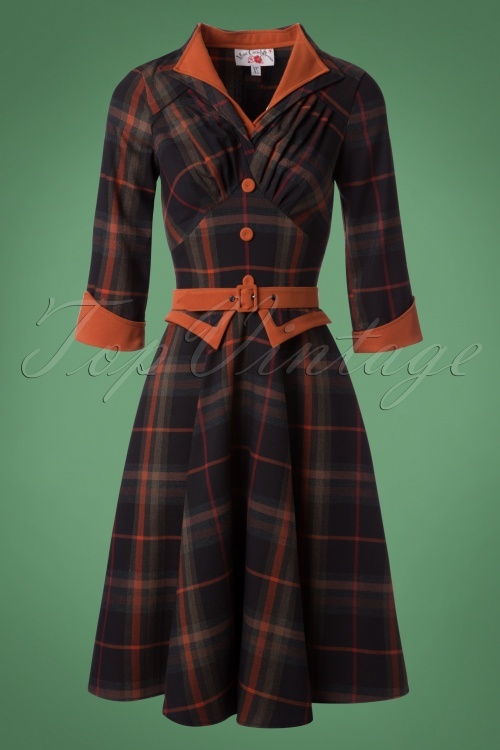 My only disappoint is for the amount this dress cost I was expecting it to be lined, it always cheapens a dress when it hasnt got a lining. 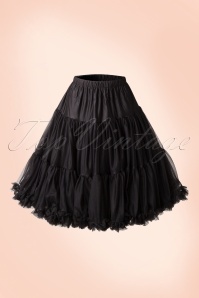 I added my own net petticoat which gave it that flare that was missing.